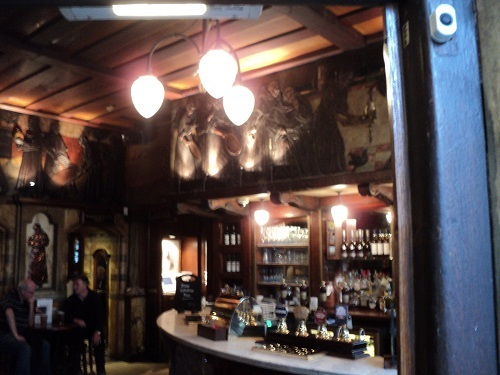 It may be in an uninspiring spot near Blackfriars Bridge but this is without doubt one of the hidden gems of a pub in London. 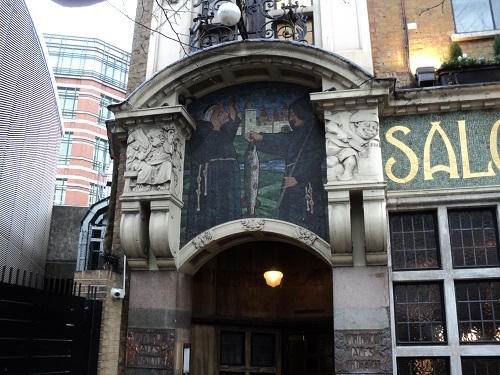 Built on the site of a Dominican friary, the original building from 1875 was remodelled between 1903-1925 to create an Art Nouveau masterpiece. 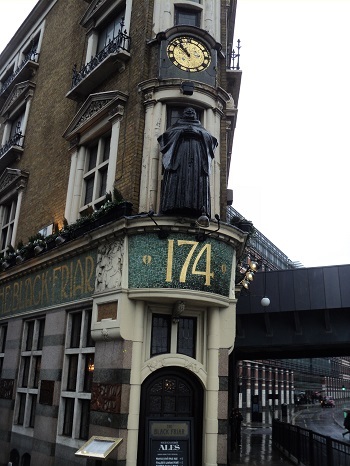 The various sculptors and designers went to town with the Blackfriars theme with jolly friars popping up everywhere in the pub both on the exterior and inside. 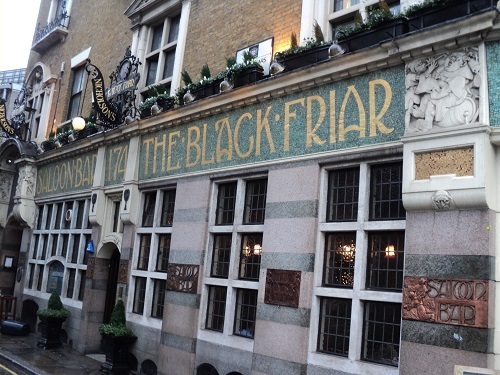 Architect H Fuller-Clark and artist Henry Poole are considered the major influences on the Grade II listed pub that was saved from demolition by a campaign led by Sir John Betjeman. 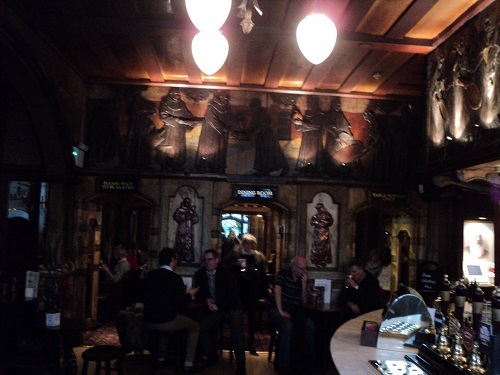 It does get quite busy at lunchtimes and early evenings but it is worth spending some time to look at the numerous friezes and mosaics all around the pub. 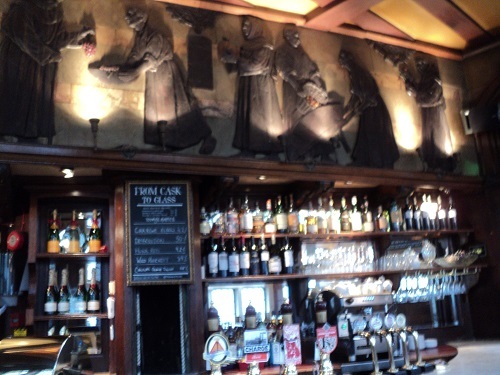 It has built a reputation for quality beers and serves mainly English food especially pies.